If you’re starting to think all I live on is protein bars let me assure you I don’t eat only those to sustain myself. I do however like to try new things and protein bars are a good thing to have on hand if things don’t go to plan. I try not to eat more than one protein bar a week because it’s not a food habit I want to become reliant on and since they aren’t the cheapest it could become an expensive habit. 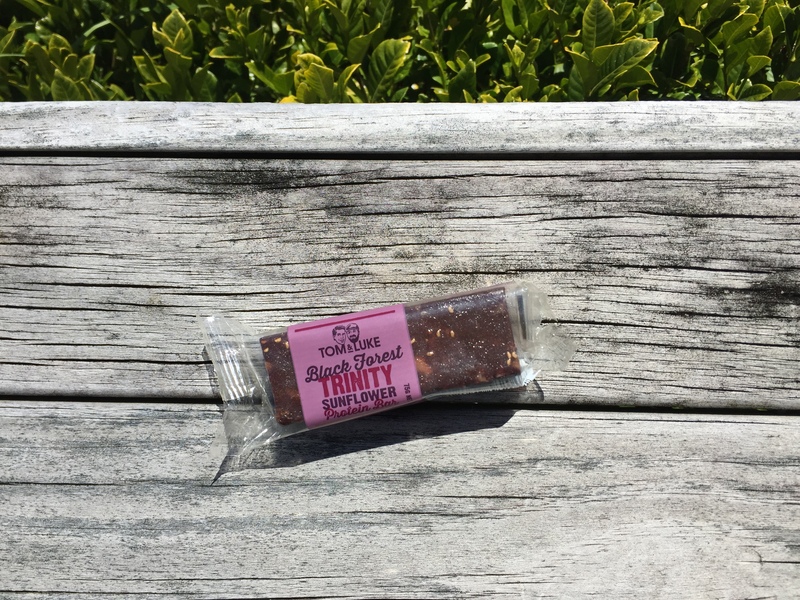 One of the favourites of lots of my friends is the Tom & Luke protein bars. 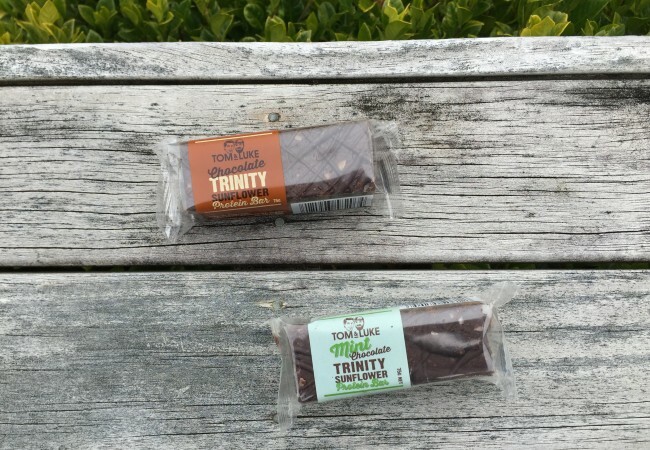 The two flavours I got to try out for the blog (and have had before in the past) were the Chocolate Trinity Sunflower Protein Bar and the Mint Chocolate Trinity Sunflower Protein Bar. These keep best if they are kept in the fridge so arent the best option to just be left at the bottom of your handbag for weeks on end. 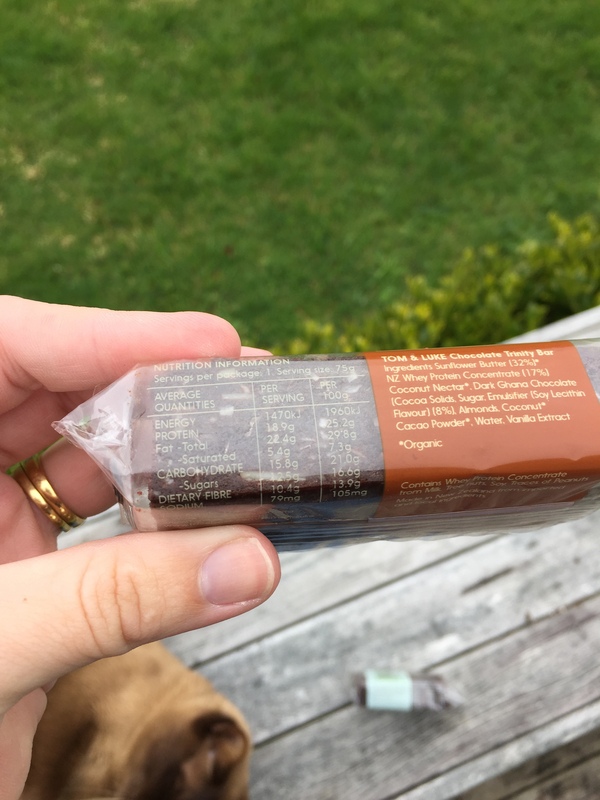 These protein bars are very dense and make me feel full quite quickly. Even though they arent very big I struggle to finish a whole one and usually half of one is what I can comfortably eat before I start to feel full. They also are quite rich in terms of chocolateyness so I think that’s also why I struggle to finish them. I picked these protein bars up from Naturally Organic for $4.50 each which in terms of other comparable protein bars on the market is a really good price for the protein payoff. 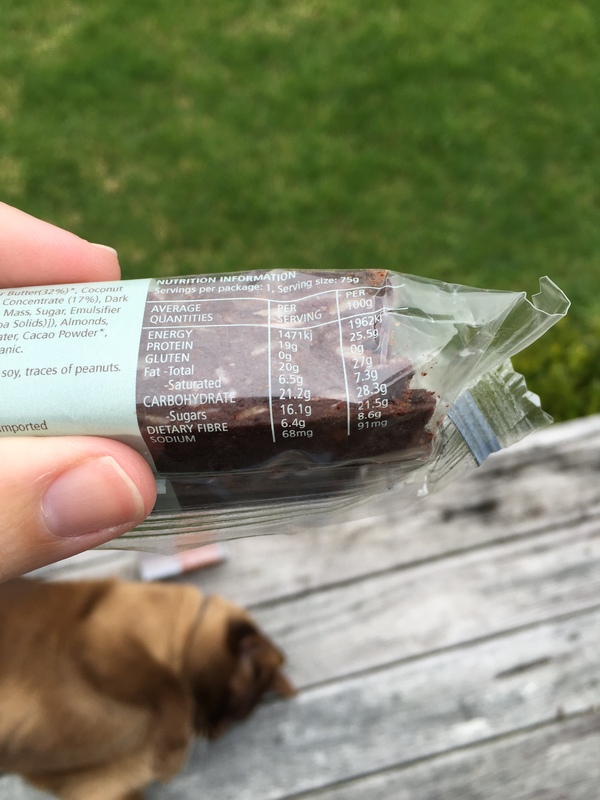 These protein bars are stocked at lots of different places and seem to be one of the easiest to find, especially in Auckland. Taste wise both of these are really nice. The chocolate one tastes as I would expect and the chocolate drizzle on the top is a nice touch and makes them look a lot more inivting to eat than a lot of other protein bars I’ve had in the past. The mint chcoclate is a really nice minty flavour and is the one that would be my first pick out of the two flavours. In terms of texture they are quite nice not to sticky or chalky and they feel nice in my mouth. Nutritionally they stack up well protein wise with the Mint Chocolate giving you 19 grams of protein per bar and the chocolate flavour giving you 18.9 grams of protein per bar. The fat content in these is quite high with between 20-22 grams of fat depending on which bar you choose. I have included pictures of the nutritional panels below. This is another reason I wouldn’t make a habit of these bars since they have more fat content in them than protein. It is a good protein payoff for me but the overall number of calories is quite high because of the fat content in them. This is easily explained since they are made mainly out of sunflower butter and other nuts. The packaging of these bars is nice and I like that you can see through the packaging to see what the actual bar looks like and is one of the few brands that do this. They also have lots of information on the packaging too which I like because its easy to make an informed decision when choosing to eat them. I give these protein bars a 5/5 for flavour but only a 2.5/5 for nutrition based on the high fat content (higher than the protein content!). Since writing this post I also found that there is a Black Forest flavour too! The nutritional information is fairly similar and it has 19 grams of protein per bar. I really prefer this flavour out of the three now I think though. The fruitiness is really nice and helps make it not so sickly for me to eat. I got two of these when I found them and I was able to eat the whole bar at once both times. 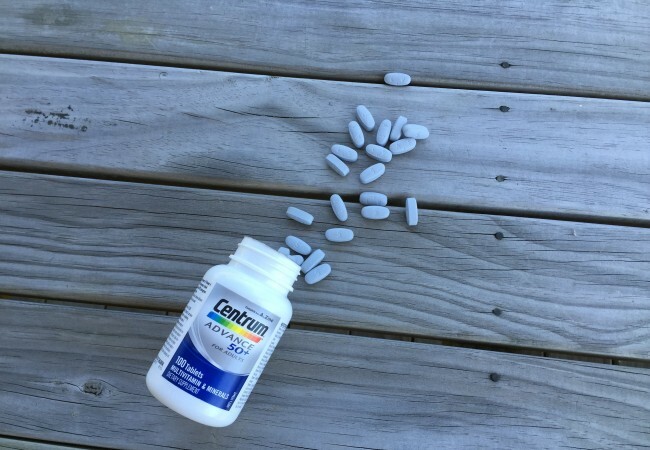 The texture and other things are pretty much the same to the other flavours I just wanted to update this post and let you know I found another great flavour! Have you tried these protein bars? What did you think, are they one of your faves? Comment below and let me know I’d love to see what you think too! *Sorry for the photobombing cat in the photos! Since he’s pretty cute I left him in. 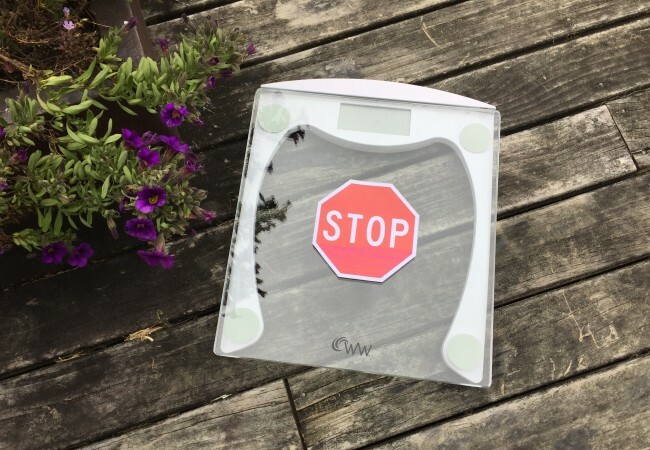 Next Post: When the Post Gastric Bypass Wagon Wobbles …. I don’t really eat protein bars very often, but occasionally I only have a short time between meetings to grab something on the go so I’ve had these a couple of times because they’re so quick and easy. The mint chocolate one is my favourite, but you’re right – they’re so filling that I really struggle to eat a whole one at a time. Just means I need to remember that the other half is in the bottom of my bag! I bought a bag of the black forest bites at the green living expo and they are so nice! I’m glad you like them too Lena! 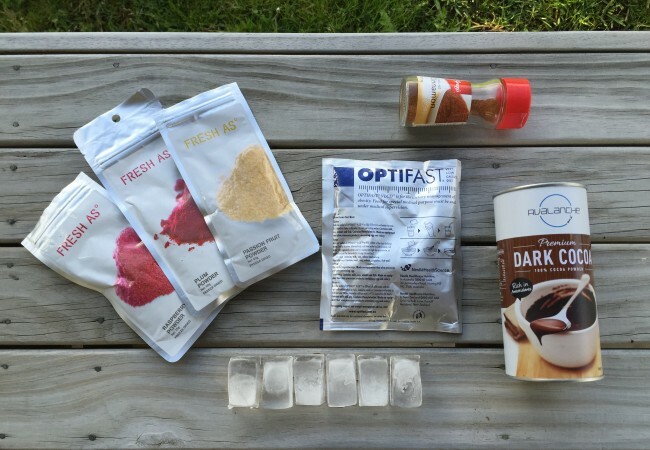 I brought a few flavours after reading this post by Melissa (Black Forest, chocolate sunflower and the plain sunflower) and they are all delicious! The large fat content, which is probably why they taste so good, would make them a dangerous temptation for me if I have too many sitting in the fridge. If I buy them again it will be only one at a time! Half a bar is plenty to make me feel full and they are quite rich. I’m glad you like them too! They are so filling and I think you’re right that the fat content helps with the satiety feeling.